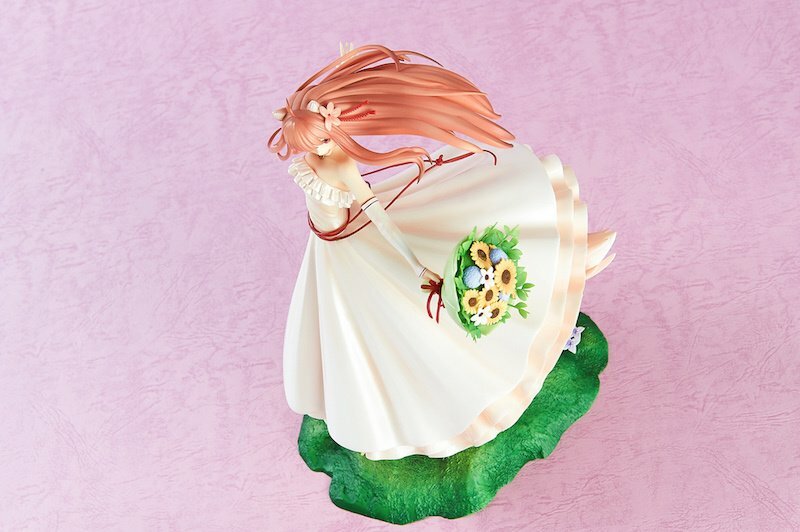 Spice and Wolf 10th Anniversary Project: Holo Wedding Dress Ver. “I wish to travel with you. May I?” Their incredible journey began with those words, and flourished into a beautiful love story. 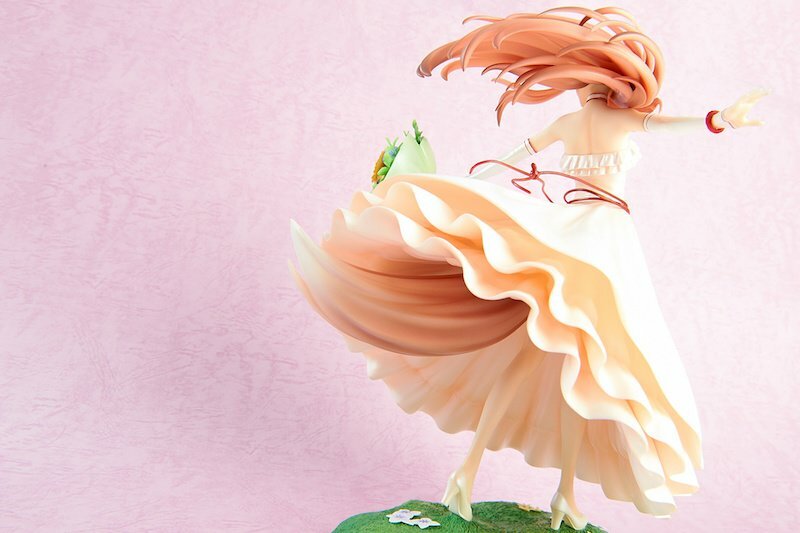 At long last, in celebration of the 10th Anniversary of Spice and Wolf, the culmination of their tale is brought to life with the Holo Wedding Dress Ver. figure. Thank you very much for your tremendous support and constructive feedback towards the Holo Wedding Dress Ver. Project! 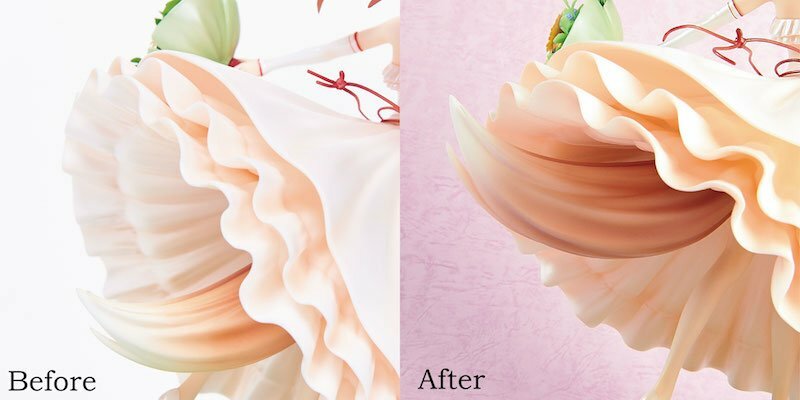 Together with the sculptor and production staff, we have carefully reviewed all the comments and feedback we received from the fans. Based on your feedback, we have updated the figure through fine adjustments made to the parts, the depths of the carved details, and in other aspects as well. 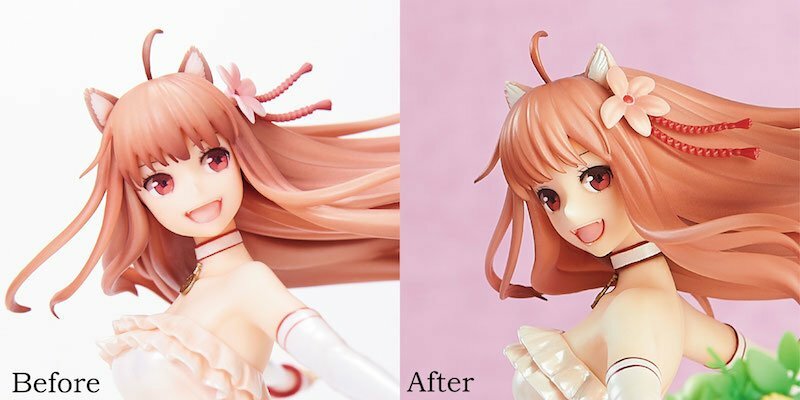 We’re very happy to say that the Holo figure looks more adorable than ever! We didn’t create this figure on our own, though. It’s the result of your passion towards Holo and the Spice and Wolf series! We sincerely hope that you will absolutely love the final version! The Holo Wedding Dress Ver. 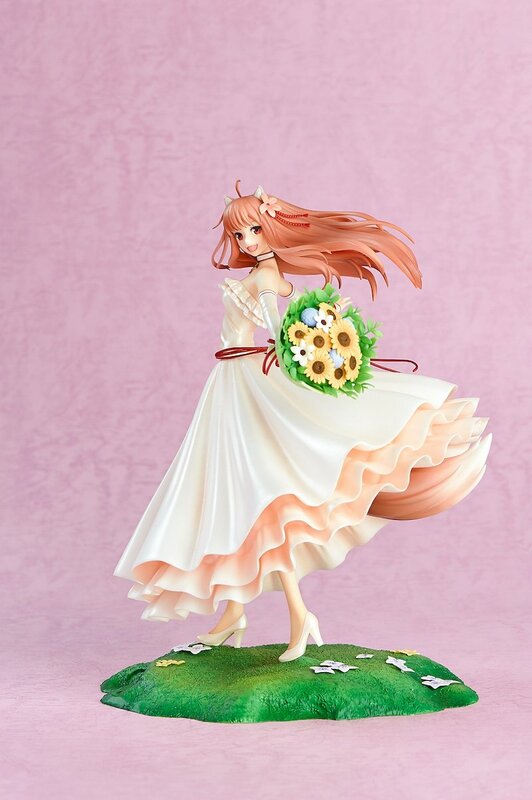 figure is based on the dazzling image of Holo in her wedding dress that was featured on the cover of the Spice & Wolf Illustrations Art Book by Ayakura Jyuu. 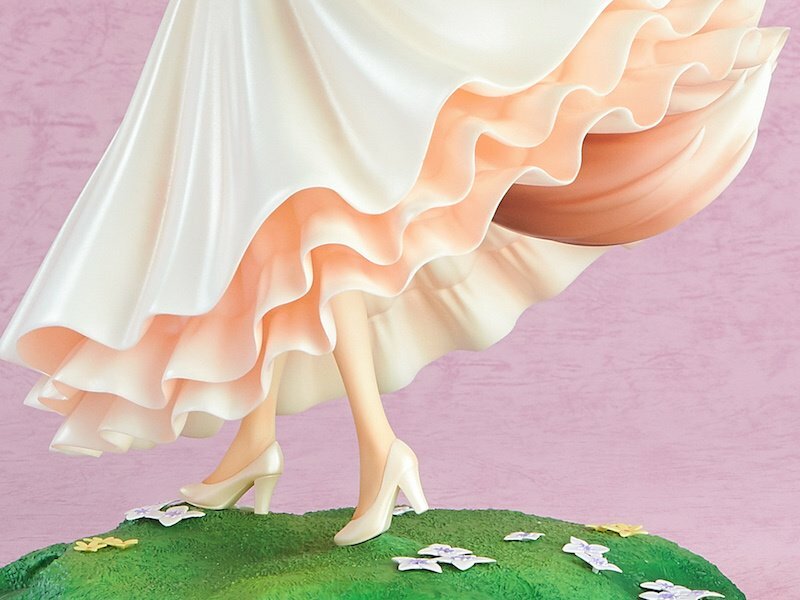 Her hair and the fabric of her skirt are carried by the breeze, giving her a refreshing look. Because Holo’s tail embodies her colorful personality, we adjusted its angle to highlight its spirit and vitality. 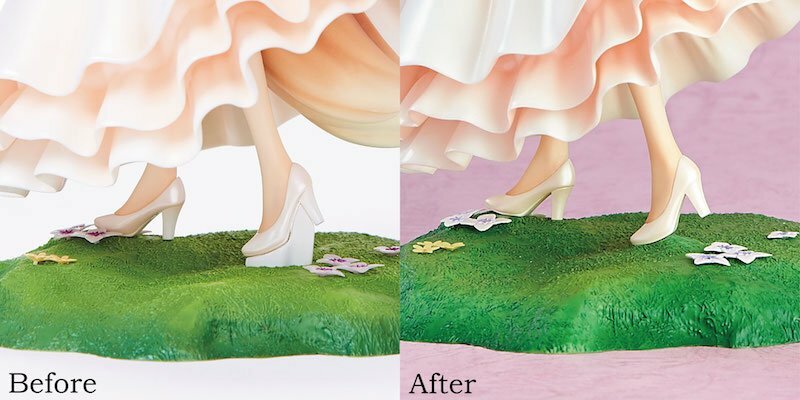 Furthermore, we removed the supporting base under her shoe to maintain the overall image of the figure. To present the world of Spice and Wolf in a natural and simple fashion, we removed as many potential distractions as we possibly could. 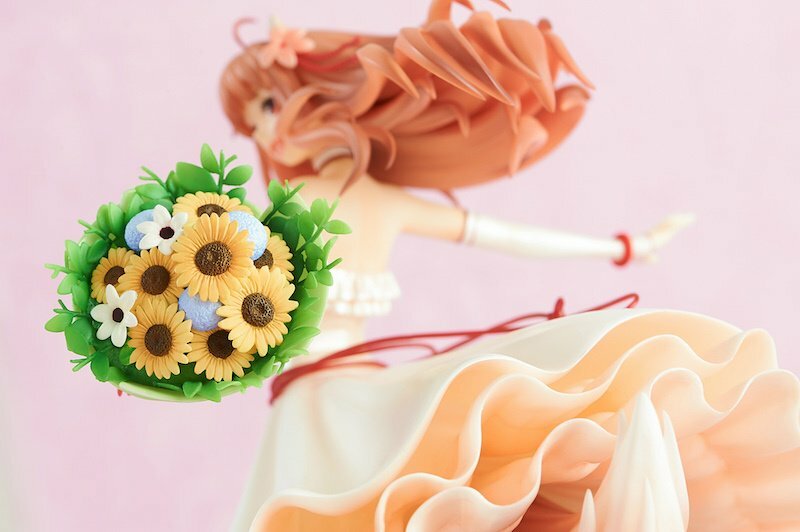 The bouquet shown with the figure during Wonder Festival has been upgraded with fine adjustments and details, giving it a sharper and much more realistic appearance. 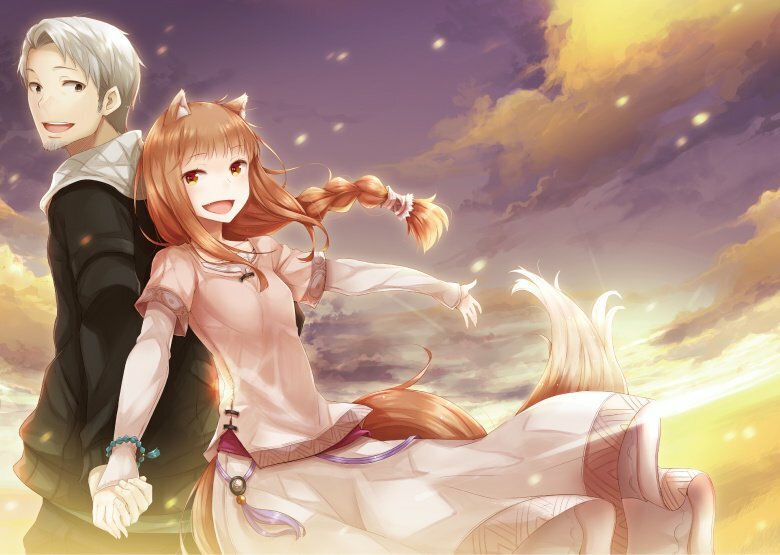 Holo’s ears and fangs have been adjusted for maximum resemblance to the original illustration. Her fangs are now more conspicuous, which contribute to her mischievous expression. A number of other adjustments have also been made. We have updated the figure according to your feedback with as much detail as possible. 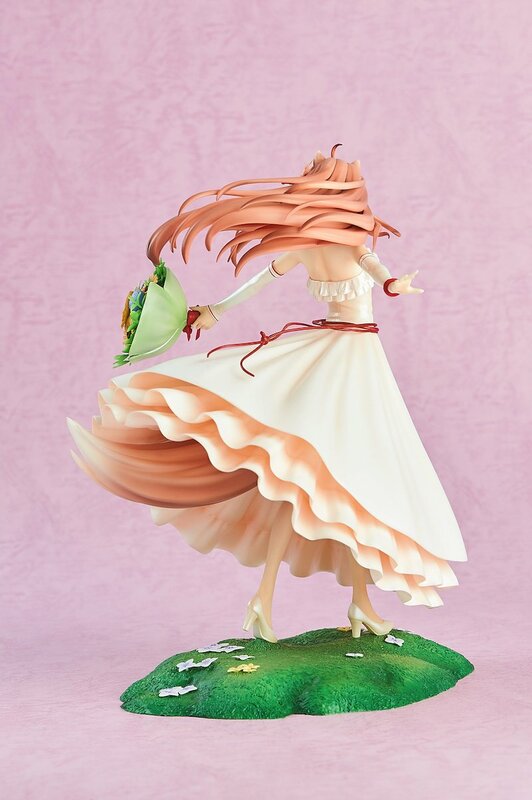 This figure accurately portrays the elegance of Holo as she dances in the wind. Experience her charm to the fullest with the 360° image above! 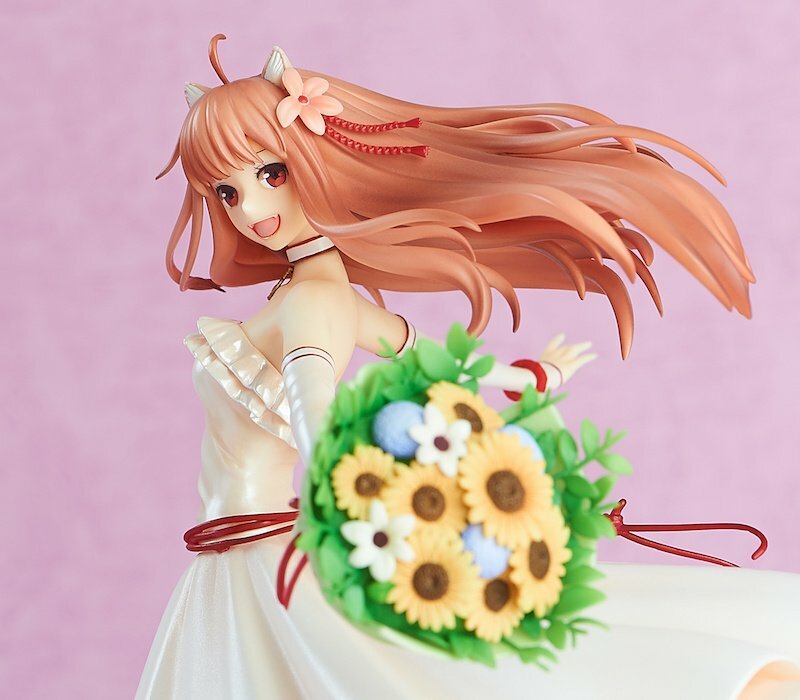 Holo in her wedding dress, crafted to perfection as a figure for your collection. 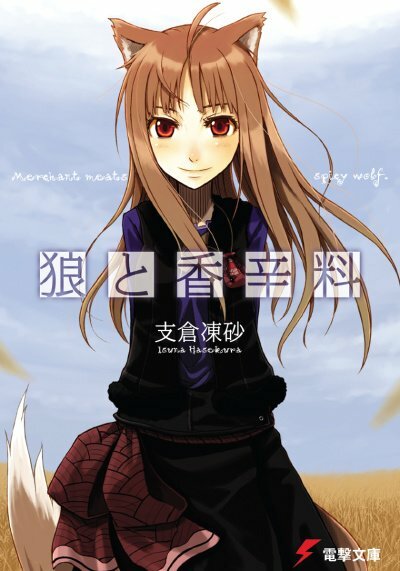 February 2006: The very first volume of Spice and Wolf was published by Dengeki Bunko. February 2016: Ten years pass since our hero and heroine set off on their incredible journey. In celebration of the ten-year journey that Spice and Wolf and its fans have taken together, various exciting projects are underway in Japan. The “Spice and Wolf & Isuna Hasekura 10th Anniversary Official Site” launched in April 2016, and the new series “Spice and Wolf: Spring Log” and “Spice and Wolf New Theory: Parchment and Wolf” are being released, too. But Spice and Wolf isn’t popular only in Japan, it is a series loved and celebrated by fans worldwide. 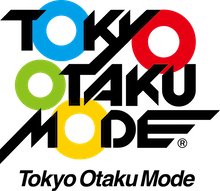 At Tokyo Otaku Mode, we believe that the celebration should involve fans throughout the world. That is why we expressed our desire to join the official anniversary project, and how our own “Spice and Wolf 10th Anniversary Project” took off. 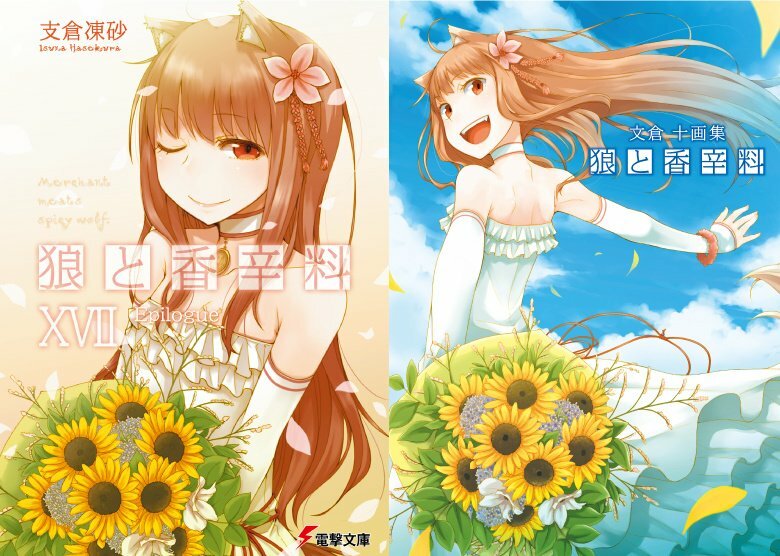 Reflecting on the ten years since the series began, the dazzling sight of Holo in her wedding dress, as seen on the covers of Spice and Wolf Volume 17 and the Spice & Wolf Illustrations Art Book by Ayakura Jyuu, is definitely one of the series’ highlights. The enchanting beauty of Holo as she dons her wedding dress has captured the hearts of countless fans. Yet, to this day, merchandise which feature Holo in her ravishing white gown remain extremely few. Fans have waited expectantly for very long―too long, if you ask us. 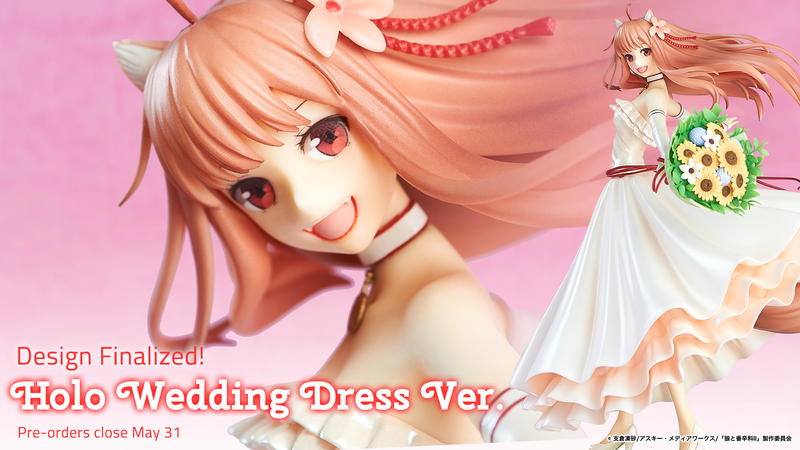 Answering to the anticipation of eager fans, we present Holo Wedding Dress Ver. as the ultimate collector’s item―a gorgeous 1/8 scale figure, crafted to stunning perfection. 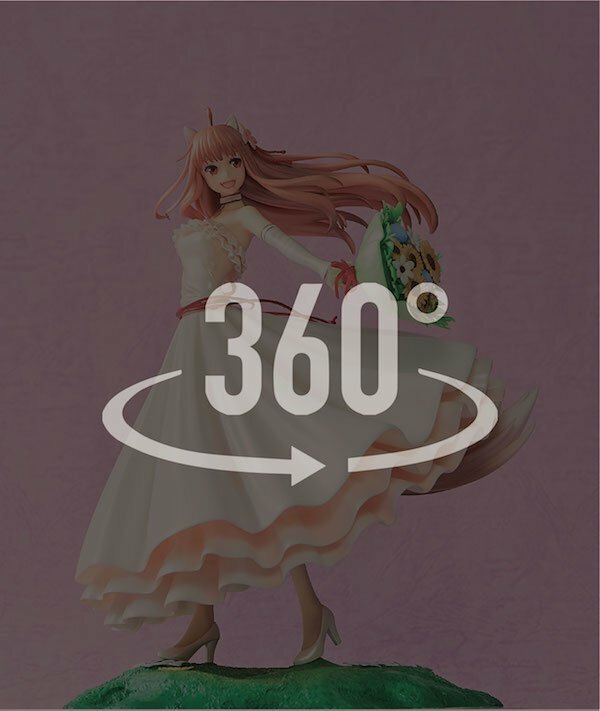 The dynamic, exuberant Holo depicted on the cover of the Spice & Wolf Illustrations Art Book was brought to life through the collaboration of Tokyo Otaku Mode and figure manufacturer Myethos. We wanted to create a product that would live up to (and perhaps even surpass) the expectations of Spice and Wolf fans around the world. 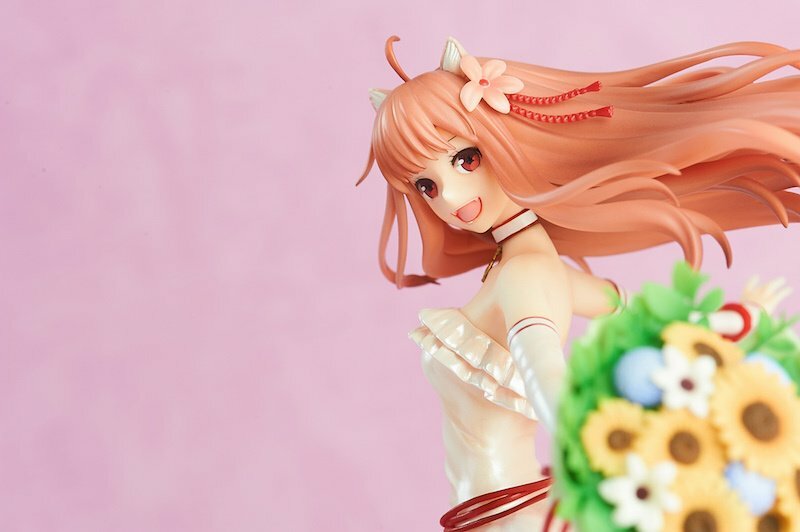 That is why we took on the greater challenge by choosing to create a figure―the one item which sits at the pinnacle of all Japanese merchandise. Now, we are proud to deliver in beautiful figure form a memento of the special day that will live on in the memories of all fans forever. Project Organizer: Tokyo Otaku Mode Inc.
A: Rewards are scheduled to be shipped out in January 2018. The figures have arrived! We will begin shipping soon! Available for pre-order one last time at Kyomaf 2017! Holo will be on display and available for reservations at Anime Expo 2017! Thank you for all of your reservations! Part II of the interview with Ami Koshimizu - the voice of Holo - has been released! Part I of the interview with Ami Koshimizu - the voice of Holo - has been released! Win a Holo & Lawrence Acrylic Keyholder autographed by Ami Koshimizu! Announcement: Photos of the Final Version Are Now Available! First Sample Now on Display at the Spice and Wolf Collaboration Cafe! Adjustments to Holo’s Tail Are Underway. On to a Livelier Tail! It’s Decided - The Thickness of Holo’s Wedding Dress Will Be Revised! Holo’s Left Foot Peg Will Be Improved! Wonder Festival 2017: Photo Report! Wonder Festival 2017 Exclusive Pre-order Bonus!